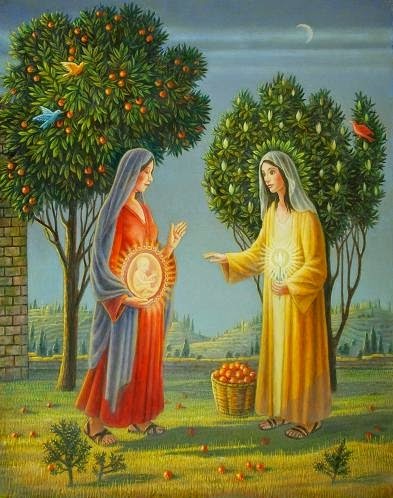 In the painting, Elizabeth’s mature age is represented by the tree with fruit behind her, while behind Mary is a young tree in flower. The mysterious knowledge of the coming of Christ is first known by the unborn babe and then by his mother Elizabeth. Thus the sacred things are revealed first to the innocent one who represents the mysterious inner life within us all.